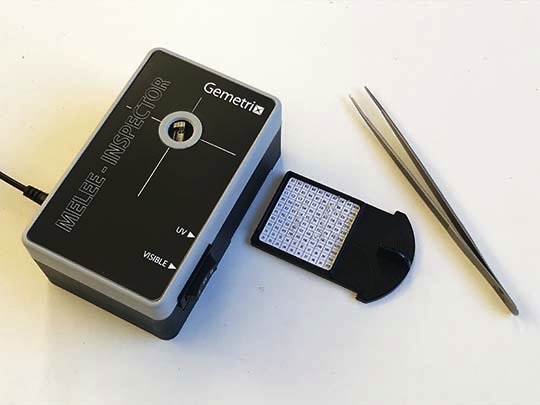 - for aiding detection of synthetic and treated diamonds. Click here for further information, where to buy etc. A quick guide to using a PL-Inspector can be downloaded here (PDF file). 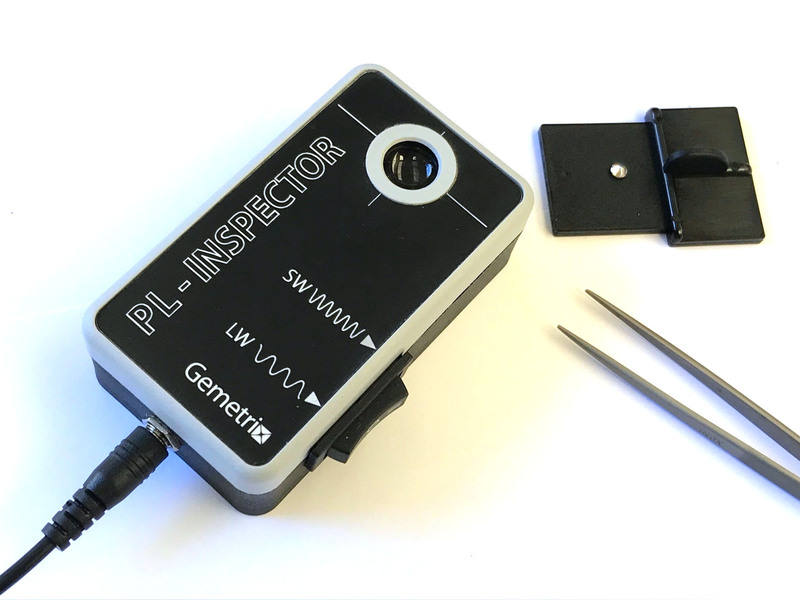 Use the Gemetrix Mobile App to allow your smartphone's camera to take and compare PL-Inspector images. - For examining jewellery presented in a custom tray under SW and LW UV. The viewing area is 50×50mm. Size: 130×80×50mm. 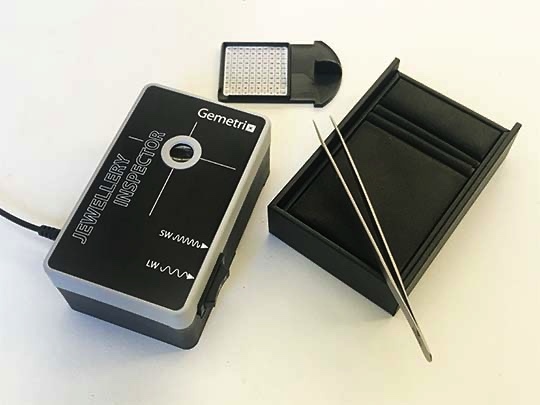 - a relatively low-cost, effective solution to examine melee diamonds and jewellery for (HPHT) synthetics.